Founder and lead singer of the Bee Gees, Robin Gibb, sadly passed away on May 20th at the age of 62. According to Consequence of Sound, Gibb had been battling cancer for a while as well as having to go through intestinal surgery. Gibb will forever be known as one of the greatest singers of his time. Born in the Isle of Man, Gibb lived in England and Australia, but ultimately achieved his great success when he returned to England. He formed the Bee Gees with his twin brother Maurice and older brother Barry, and the group met with international fame as they released their first album Bee Gee’s 1st. Gibb went on to work on a solo career, but eventually reunited with his brothers. The Bee Gees arguably hit the peak of their career with their soundtrack to Saturday Night Fever in 1977. As a group, the Bee Gees sold a total of over 220 million records, and there success was bolstered when they were inducted into the Rock and Roll Hall of Fame in 1977. 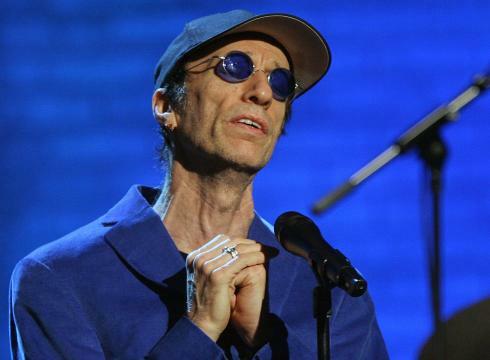 Robin Gibb’s career spanned a total of six decades with his last performance this past February at the London Palladium. This superstar will be sorely missed.